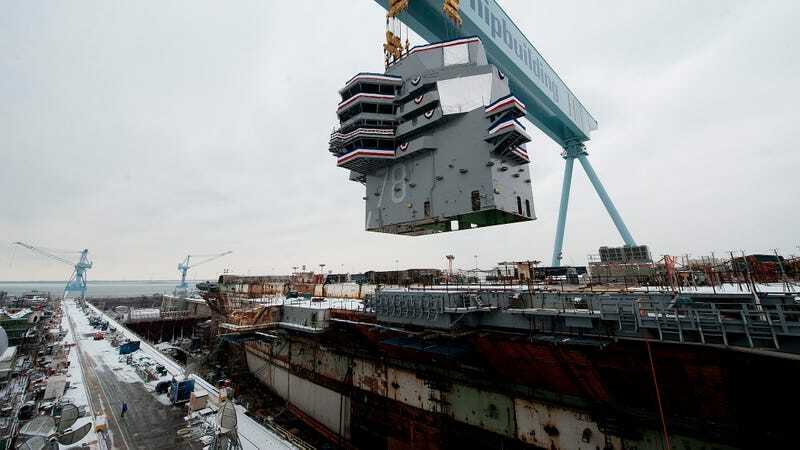 The upcoming USS Gerald Ford is a $12.9 billion masterclass in neat new tech with electromagnet catapults and super radar and lots of other cool and very necessary things. Who cares if some of these things maybe, uh, don’t work? The Ford is supposed to be the U.S. Navy’s newest aircraft carrier, and like any 21st-century bit of military hardware it’s supped to come resplendent with technology, including electromagnet catapults instead of old steam catapults, a new kind of arresting gear system that has demonstrated a 20 percent failure rate, a new dual-band radar system that may be already obsolete, and new turbine generators to facilitate this electricity-over-steam ethos. According to Kendall’s memo, all of these systems have those problems. And if these new systems aren’t reliable at all, they’ll need to be taken out. Which means cutting the entire carrier apart. Anyway, now the Pentagon wants that all tested and they want the whole program reviewed because it’s a shitshow.